These Garamba Park guards and warden were wounded fighting the Lord’s Resistance Army in Garamba in 2009. How can the sacrifice of today’s heroes guarantee “the tomorrows” for Congo’s forests, wild savannas and the Parks meant to protect them? This was the unspoken challenge at the Abraham Conservation Award Ceremony in Kinshasa on the 29th of March 2010. The park guard Kanyangara was caught in an ambush when investigating a poached hippopotamus. We gathered to honor 8 park guards who lost their lives in Congo’s Parks in attacks by the Lord’s Resistance Army (LRA), in clashes with military poachers or ambushed by rebels. May their deaths not have been in vain. 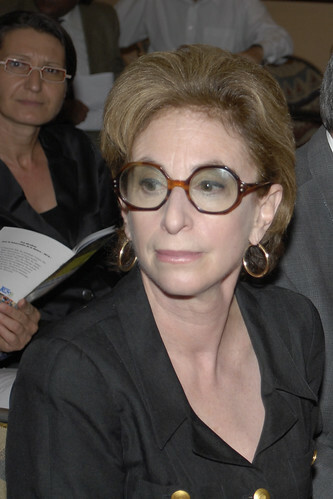 Nancy Abraham, sponsor of the awards, in a thoughtful moment before the ceremony. We also celebrated the bravery of park guards wounded while fighting for their park and the courage of local chiefs who brought their citizens together to support the wilderness of traditional lands. We also paid tribute to villagers who united against Maimai poachers in a remote area where “law” and “gun” are synonymous. 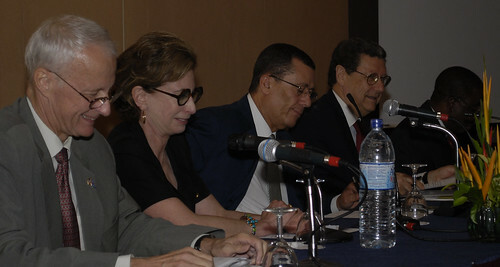 The speakers included (from left) the DCM of the American embassy, Nancy Abraham, the Minister of the Environment, the Special Representative of the Secretary General of the UN in DR Congo, and the head of the Congolese park institute. How can we assure that the initiatives of these heroes are carried forward? How can we assure that they are effective? The country director of the World Bank puts Kanyangara’s post humus award around his widow’s neck. The audience stands in remembrance of the park guards killed in the service of Congolese Parks. Atikpo Mutombi was shot by elephant poachers in a clash in the Okapi Reserve in September 2009. 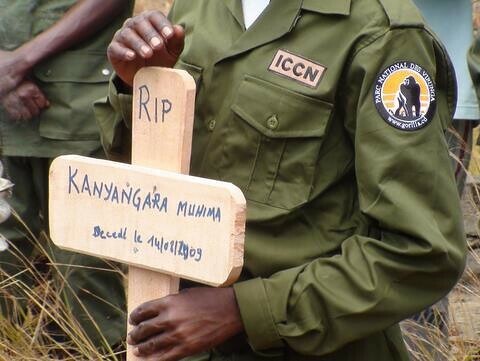 Late park guard Kambale Vilavu of Virunga National Park– Killed in a Maimai ambush. 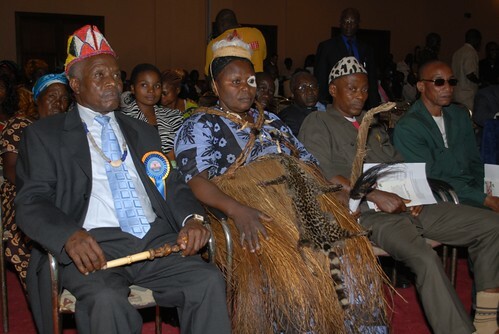 Traditional Chief (groupement) Muombi Lubula of Kahuzi Biega National Park – Ran community patrols when ICCN could not enter his region of park. Chief (groupement) Oscar Biringanine Marhegane of Kahuzi Biega NP – Arrested twice for denouncing military and political authorities who exploited the park. Traditional Chief (chefferie) Mwami Mopipi Mukulumanya of Kahuzi Biega NP – Led his rebellious population away from uncontrolled resource exploitation and back to support the Park. 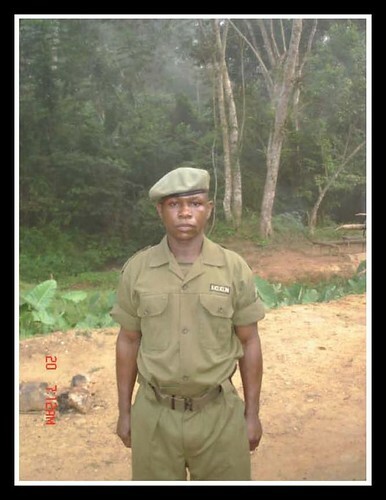 Late park guard Asukulu M’meme of Itombwe Reserve – Killed by unidentified armed men when on mission to investigate the killing of a gorilla. 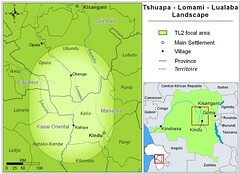 In August 2009, Asukulu was tortured then killed when investigating the killing of a gorilla in the Itombwe Reserve. Traditional Chief (chefferie) Konji Wa Kyalwe of Upemba National Park – Protected elephants on his land despite elephant-human conflict. Traditional Chief (chefferie) Matchozi Ulimwengu of the TL2 landscape – Campaigned tirelessly against bonobo poaching and for the formation of a protected area on her land. From left Chief Konji from Upemba and Chief Jeanne Matchozi from TL2. Next to her, Kapere also from TL2. Alacho Kahenga of the TL2 landscape. Thank you, Guy Rondeau, for the photography of the ceremony! This entry was written by Terese Hart, posted on 2010-04-04 at 7:35 pm, filed under Kinshasa. Bookmark the permalink. Follow any comments here with the RSS feed for this post. Post a comment or leave a trackback: Trackback URL. 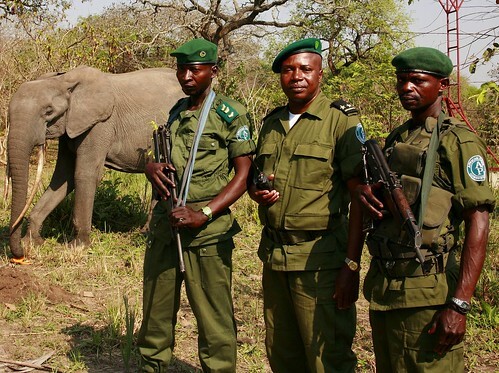 The rangers who protect animals in Africa are a special kind of hero to me. There has to be a special place in heaven for those who give their lives for the cause. Wonderful post. Thank you for honoring these true Congolese heroes! I will post this to my Facebook. 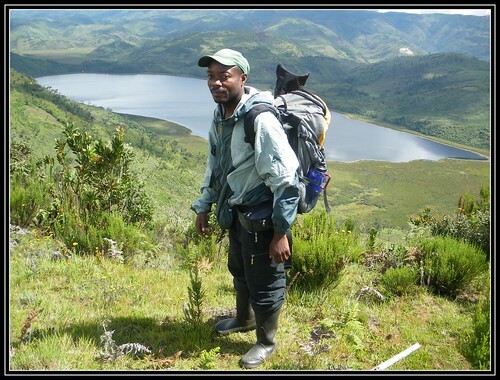 I cannot believe seeing Asukulus photo and hear that he was tortured and killed in 2009 – saddened that I didn’t know about his tragic death until now – I had some of my best times together with him during our explorations of the Itombwe. Very sad. He will be missed. Asukulu’s widow came to recieve his medal and prize. She came with the baby born during the mourning period. It was very moving. On her way, Germaine (of ICCN) took her in in Bukavu and bought her clothes because she was so poor as to not be “presentable”. I am delighted to see that your organisation is recognising the people who dedicatedly work in the field and unfortunately we lost some of them.As I feel that somw people work very hard without showing any sign to get recognistion but have work hard wholw life.I wish that you organization is doing exellent work in this venture.My best wishes. This is very moving. Keep up the great work.Bon courage!!! !